This article has been updated with the latest smart techniques and approaches to boost your campaigns and level up your CRM implementation in 2019. 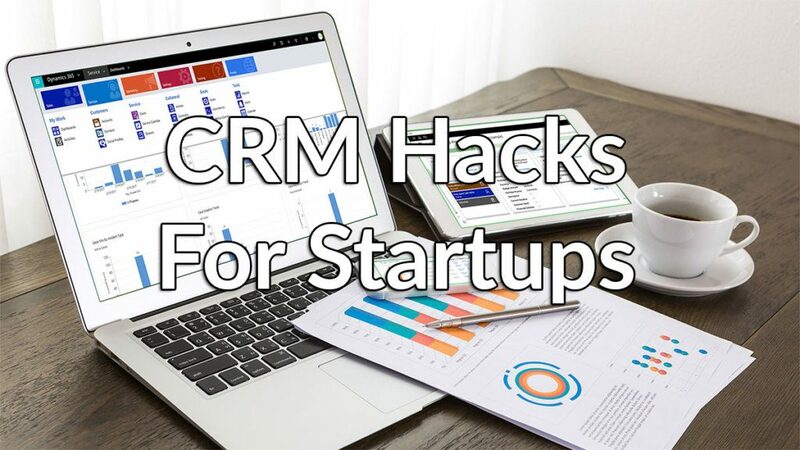 If you’re a startup looking for ways to boost your revenues, CRM hacks don’t just help you improve sales: they can also help your teams turn sitting pools of data into easy-to-read reports, which then leads to better strategies and shorter meetings. Everyone benefits from a sharp, decisive approach to CRM use, from your sales team, marketing team, to customer service team. 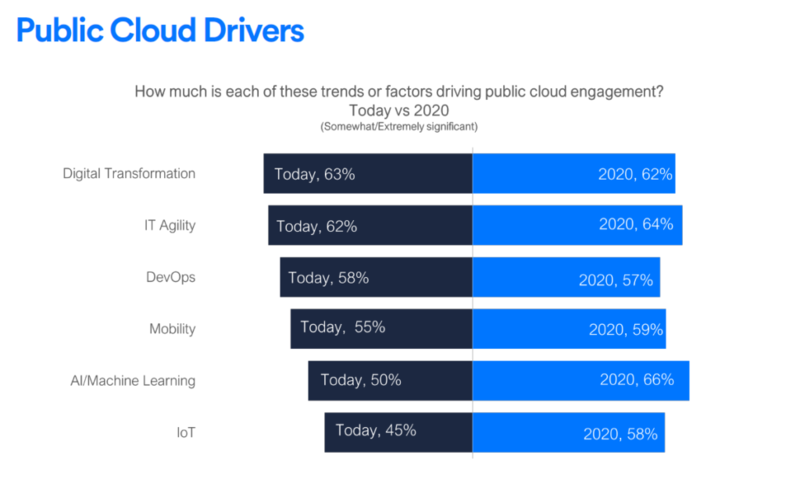 As you can see from the chart below, artificial intelligence/machine learning from now until the near future is expected to be the biggest driver for applications that rely on cloud computing, including CRM. CRM for startups or CRM for small business like Freshsales can be critical sources of insight, allowing companies to see their data from different perspectives and deliver more personalized customer service. Use these CRM strategies to get more from your CRM purchase and turn a potentially untapped resource into a crucial weapon. At the outset, don’t fall for what most startups mistakenly do: relentlessly pursuing new customers while losing sight of retaining and interacting with current ones. Put simply, not only is it cheaper to retain a customer than to pursue a new one, but also that your current customers generally have more value than the new ones, usually spending more and generating better traffic both in your physical store and online—making them a good source of totally free word-of-mouth promotion. There are many ways that your startup company could tweak your CRM approach. We give you these CRM guides to get you running, with illustrations from how Freshsales, a leading CRM solution, helps you implement them. If you haven’t tied the budget to a solution yet, we highly recommend something that is easy to set up, scales to your needs and is free to try, like Freshsales. You can quickly sign up for a Freshsales free trial here and follow our hacks with a robust tool. As third-party customer data becomes hard to come by or unreasonably costly as a result of the Facebook and Cambridge Analytica fiasco and the GDPR that ensued, your startup company will especially have to turn your eyes on your internal customer relationship management (CRM) system and the customer data and insights that have been severely underutilized in the past. Identify those holdovers in your company who for some reason or another are not making full use of the features of your CRM, leaving consumer data lying segmented and virtually of no use to your lead generation and sales efforts. If these personnel are frustrated by CRM, it’s probably from lack of technical proficiency, which could be dealt with easily by prompt training. Once their inefficient use of the CRM is addressed, they should start appreciating the use of the program. For instance, you could be using a non-coding-friendly, intuitive CRM solution like Freshsales could just be what these non-adopters need. When fully utilized and their features realized, CRMs will help you refine marketing and sales strategies, along with improving your customer service delivery. Do that and see your sales numbers climb, benefiting from shortening your sales cycles by up to 14 percent. Easy-to-use, easy to get results: Freshsales is for everyone. More customer information allows you better window to knowing your customers more intimately. Every bit of information can potentially decide a sales. Thus, aside from extracting basic contact address—a phone number, email address or a personal address—you need to step up and fill in their profile with other information: birthday, order history, samples given, ongoing interactions on social media and the like. With more such information, you get a chance to conduct a highly personalized interaction with your customers without going through unnecessary points of conversation, thus easily making your campaigns on efficient footing. Inevitably, however, there will come a time when that database will accumulate clutter. This calls for constantly updating and pruning data sets or even removing names totally. Getting rid of trash in your database will help you keep running an efficient campaign, even preventing you from heading straight into some spam folder. All of these underline the need for a centralized database to ensure data integrity and avoid duplicates and disparate data. If you find doing these tasks particularly unappealing, however, your best option is to go with Freshsales, which gives you a unified customer database outright. Having a clean, efficient database gives you a nice launching pad—and a clear head—to strategize your next step, which turns out to be at the heart of CRM functions and gives it such power. We are talking about launching CRM campaigns and you will need to establish clarity with how you go with each of them. CRM selling campaigns. To start seeing the power of CRM work for you, you can send an email to restock on their favorite product, go back to an abandoned basket, give positive words after a closed transaction or after each delivery made.  CRM promotional campaigns. Think of these as means publicize new product or service launches, discounts, events, pre-order, or partnerships—all serving to prop up your selling campaigns. While they are best to employ on new customers, they also prove useful on existing customers whom you haven’t heard from for a while. CRM engagement campaigns. You will want to cultivate a sense of meaningful connection with your customer to encourage their loyalty and commitment to your brand. Things like a thank-you note, a special event greeting card, a welcome note for prospects, even a reference to a useful resource. The other half of these campaigns are the need to gauge their success levels, and your CRM of choice should be able to let you do it. Freshsales, on its part, provides a wide array of tools to undertake such analytics along with its reporting capabilities. Along with its suite of default reports in the form of pipeline, territory, email reports, among others, Freshsales makes it possible to build custom reports for each type of your campaign. The reports can be generated at any point in time, so that the user can summarize information when changing the course of his campaigns. Powerful, smart campaigns are deftly handled by Freshsales. If there’s one thing that’s quite galling about the internet age, it’s the growing feeling that anyone is just an anonymous number in the company database that’s quickly dealt with and forgotten. Companies who recognize it are amply rewarded for their innovative personalized treatment of customers, making them human again and uniquely appreciated for the business they bring. The kind of data that you can collect through your CRM platfomrs should help you achieve this kind of individualized approach. The road to a personalized business is paved with the concept of segmentation. Specifically, you need to organize your existing database based on unique and easily handled criteria. It could be about their age, preference for some type of product, the purchase channels, the frequency or recency of purchase, or on the basis of their behavior. This segmentation mechanism also brings you to another crucial aspect of CRM: lead scoring, which are based on the factors above and more. You try any one of those and progress to mix and match later on, as you could do with Freshsales. When you arrive at a point where you could make predictive scores for any one customer, you know you have made it with your CRM. These consumer preferences, unique profiles, and behaviors will define and narrow down the kind of customized campaigns under your selection. Add your own unique style to reaching out to them will further enhance your results. Given all the varied forms of social media—texting, FaceTime or Skype, What’sApp, Snapchat, Instagram, Facebook, email—not only do we have more ways than ever to connect, we have more opportunity to be communicating with customers in a manner they do not desire. If you are looking to be regarded as a distinctive company, you will want to ask your customers how they wish to be contacted. If they want a text, that’s what they’ll get. They want a phone call? No problem. In other words, working to be a distinctive company means you aren’t focused on a set policy or what’s more convenient for you or the way you’ve always done it. You deliver customer messages in the format the customer has chosen. The same with timing: you should encourage your customers to tell you the best time to contact them, though there is a certain caveat to this: you should also not wait too long before contacting your customers, especially your new ones if you didn’t get any word from them about when to contact them. Study indicates that 75% of people who buy twice buy their second products within the 6 months following their first purchase: making it crucial to have interactions with them regularly to keep them long term. As we indicated earlier, you better have active and loyal customers than new ones every day. Freshsales allows you to schedule your campaigns to match any contact’s preferences. Reply rates or click rates are some metrics you could use to monitor the progress of your CRM campaigns. These metrics, aside from ROI, should give you the essential ideas what works and what doesn’t to include in your succeeding efforts. AB tests are well used by veterans and there’s no reason why you couldn’t run those for your startup company. For example, you can choose different segments and send each one a type of email materials at different times. You can learn how the best CRM practitioners out there utilize control groups to further narrow down your selection of working campaigns. You can conduct one kind of campaign with one group and another type with the other group and compare results after a defined time. Human errors are a blight to any customer database, aside from eating at precious hours of your workers who could be doing more productive tasks. If your CRM has not already taken over importing information, compiling related data and making intelligent schedules, then you are wasting an essential feature of your purchase. Some CRM systems even allow you to automate not just these but also your campaigns, as Freshsales will allow you to do. You can make life easier for your salespeople by having your CRM lump together information by prospect instead of doing it by activity. Once you do, your staff should find everything faster. The approach also gives a good snapshot of the sales process, letting your team work out those areas that need attention to further their objectives. You don’t want to lose customers in your business, for whatever reason. A bigger reason you want to keep retaining them is indicated by research showing that increasing customer retention rates by just 5 percent can increase profits by as much as 95 percent. You can only prevent losing customers if you know which ones are standing on shaky ground—and CRM allows you to do just that, giving you time to fix things up before things get out hand and your customers are gone. Different people handling too many things are surefire recipe for lost customers in the old days. With CRM, that is no longer an issue: the software simply ties up and connects all activities related to any one account. If a critical issue is on the line, you can act quickly to contact the customer involved and resolve any issues with them immediately or according to some reasonable schedule. Even better, some of the CRM solutions on the market—like Freshsales—even give you a visual sales pipeline quickly showing stagnating deals across sales stages, giving you a faster access to which deals to scrutinize and prioritize. You can configure flags and triggers that the CRM can easily sort out and immediately send alerts and notifications as needed. As much as 89% of companies that share responsibility for their sales and marketing efforts report measurable increases in the number of sales opportunities generated. To get this team effort on right footing, consider clearly outlining the expectations and responsibilities involved in some sales and marketing service level agreement (SLA). This will help the two teams have a clear, identifiable basis to hold each other accountable for each activity agreed upon to work their way to increase the number of customers. If you’ve seen the newest AI showcases, then you know AI and CRM could make the best of friends. And implemented correctly, a CRM system can shift from being an operational necessity into an outright competitive advantage. There’s hard data to support that too – research compiled by Statista estimates that by 2021, the adoption of AI could add $394 billion in value to the CRM sector. Are you still reeling from the thought of asking AI to find customer information and partner with your CRM to add client information to files or set appointments? The future is already happening now, and this really is no time to get your startup left behind and operating like it’s the old times. Freshsales, for example, already uses AI-based lead scoring, built-in phone, email, activity capture, among others, with still more advanced AI-based capabilities on the pipeline. As we’ve seen, a good CRM could be sitting in your company right now languishing from under-utilization. Why not make the effort to push it to its full potential and see possibly outstanding revenue outcomes with a little tweaking of attitudes and processes as they exist now in your business and personnel. Especially if you purchased Freshsales CRM, you are missing on many of its powerful features that could mean a lot to your business. Don’t have a CRM? The vendor offers a comprehensive free trial to get you up to speed with the features. You can sign up for the Freshsales free trial here.